Troubleshoot your car's electrical problems! Global positioning systems or GPS devices are available in many manufacturer makes and models of cars, trucks, minivans, and SUVs; however, before you invest in an automobile GPS device, it's a good idea to be aware of the problems with GPS. Wordnet, a word definition website created by Princeton University, defines GPS as, "A navigational system involving satellites and computers that can determine the latitude and longitude of a receiver on Earth by computing the time difference for signals from different satellites to reach the receiver." Geometric Dilution of Precision - Also known as GDOP, this occurs when a GPS reads the wrong position, especially if the satellite angles are very small. Visibility - If the satellite signal is blocked or a GPS receiver is attempting to achieve signals from a satellite more than 11,000 miles away, the signal can be lost or not visible to the GPS system. Tunnels, large buildings, or areas thick with trees and brush can also block signals from satellites. GPS Movement - Depending upon the model of GPS that you buy or the type of unit that comes with your vehicle, the device may quit working after the vehicle reaches a high speed. This most often happens if you obtain a handheld GPS system and attempt to use it in your car. High Temperatures - Most computer electronics don't thrive in extreme temperatures. The same is true for GPS electronic devices; they simply don't perform as well in extremely high or low temperatures. Before you buy a GMP system, first find out about the temperature level breaking point for the unit. Unmarked Roads - In some extremely rural areas where satellites can't identify the route, you may find that the unit will constantly recalculate. GPS Magazine offers a great chart on individual features and performance on model-specific GPS devices, but what are consumers saying? Openmoko FreeRunner - Some reviewers say this GPS device takes a long time to receive its first signal, giving it a slower response time. Garmin Vista - Some owners of the Garmin Vista were not happy with the small and dim display of this popular model and opted for the Garmin Legend model instead. Users report that the Legend model is easier to use, has a better view, and is great for the GPS novice. TomTom One XL - Reviewers say that this GPS device offers poor battery performance. Consumers noted that they must keep the device plugged in at all times or accept only two hours of battery time. Further, users report that TomTom will not replace a bad battery that doesn't hold a charge, and customers are forced to buy a new one. Nokia 6110 - This GPS device initially came with software problems that caused it to freeze. Nokia has recalled over 3,000 of the 6110 models. If you are experiencing this problem, return it to the store where it was purchased. 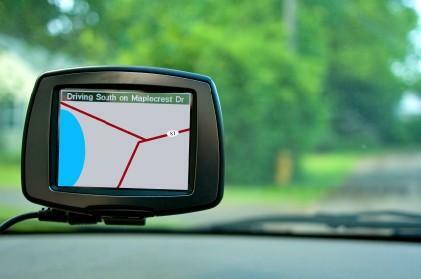 Software Updates - Some companies who release new versions of the GPS models require the purchase of new software, resulting in more costs to the consumer. For example, the Nokia N97 only accepts Nokia's 2.0 software, meaning N97 buyers who wish to upgrade their software must buy a whole new GPS device. As with all electronics, GPS devices will fail from time to time due to weather, area restrictions, lost satellites, or manufacturer problems. Most, however, do well whether they come with your vehicle or you purchase and install them on your dash or center console. Before you choose a GPS device, do some research on price and performance and only buy the GPS model you need. Most of the problems with GPS devices arise from users who are inexperienced in model designs or buy a GPS device that offers more product functions than they need or require.